← Licensed Consultant Training at #1 Ranked Hotel! 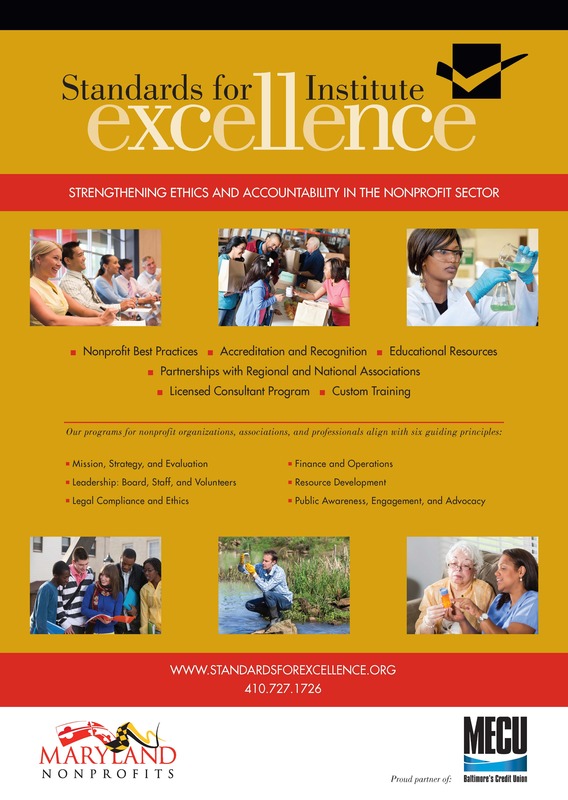 The Baltimore Business Journal‘s 2015 Giving Guide was recently released and features a two-page spread of the Standards for Excellence Institute. 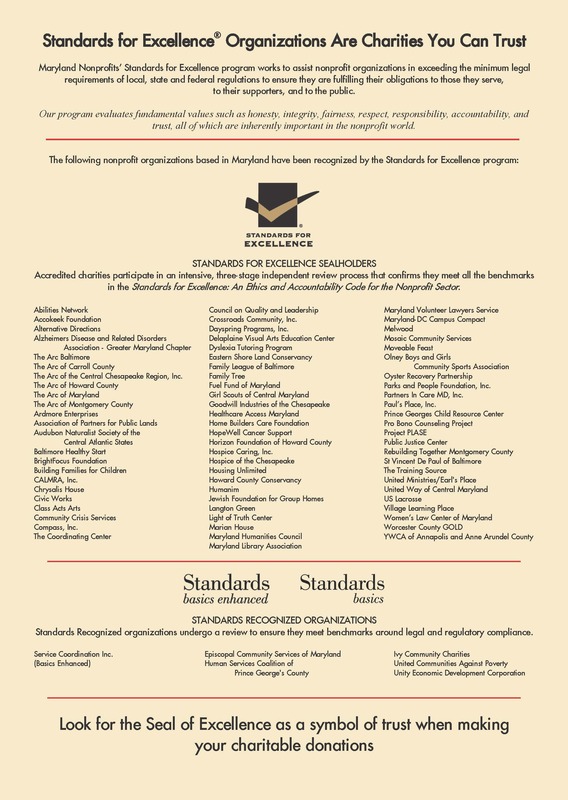 The spread includes a list of Standards for Excellence Accredited and Recognized organizations in Maryland. This annual publication comes out once a year, giving non-profits in the Baltimore region the chance to deliver their messages to readers of the BBJ. Last year the Guide featured over 13 unique non-profit organizations doing amazing work in and around Baltimore. The Giving Guide is distributed to the Journal’s full print circulation of 8, 704 subscribers and reaches over 12,000 readers when combining print & digital readers. In conjunction with the special publication, the BBJ will host The Giving Event on July 17th in Hanover, Maryland. Over 150 attendees are expected at this year’s event to discuss the topic of “Nonprofits & Businesses Working Together to Find Solutions.” A panel discussion will include Lisa Rusyniak, President & CEO of Standards for Excellence Seal holder Goodwill Industries of the Chesapeake, and board member of Maryland Nonprofits, sponsor of the Standards for Excellence program. The panel will be moderated by Standards for Excellence Institute Director Amy Coates Madsen.